Conditions of export and import. - 22 kilometres far from Phu My Port ( available for 72.000 ton- ships landing and unloading container and oversized machines ). - 15 kilometres far from Go Dau Port( available for 15.000 ton- ships landing and unloading container and oversized machines ). 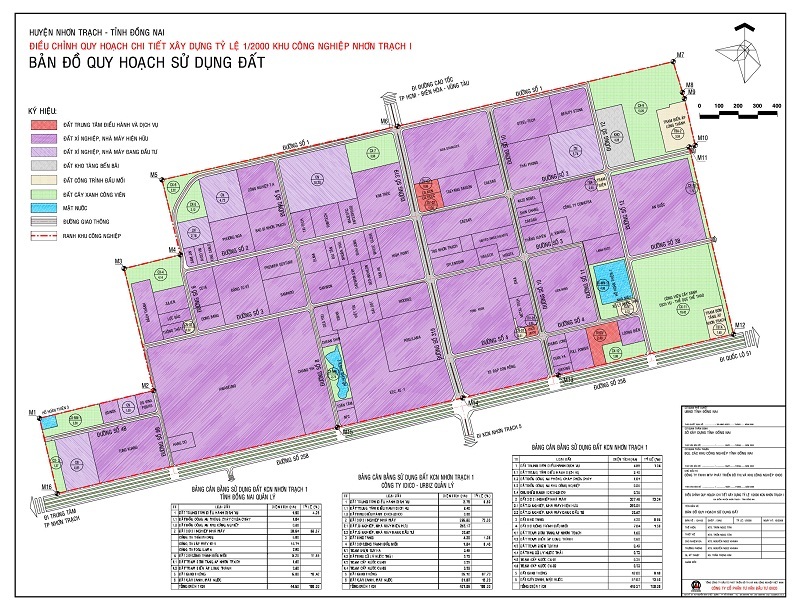 Nhon Trach 1 Industrial Zone- the new industrial city- is located in the southern key economic region, which is Ho Chi Minh- Bien Hoa- Vung Tau. It is completely suitable for supplying goods to 3 biggest markets of Viet Nam: Vung Tau with a population of 2.000.000 people (60 kilometres) far away), Bien Hoa with a population of 900.000 people (40 kilometres far away) and 5.000.000 people (60 kilometres far away). It is also suitable for delivering goods to other parts of the country and overseas. - 100-150 USD/person/month for skilled labors. Business income tax rate for enterprises in the industrial zone is 20% within 10 years from the operation and 28% in the following years. Enterprises in the industrial zone are exempt from taxation within 2 years and 50% reduction for 3 following years since taxable income. Taxation for oversea transferred profits: Profits from foreign investment in VietNam whether kept in Viet Nam or transfered overseas are tax free under the Circular No 26/2004/TT-BTC dated March 31st, 2004 of the Ministry of Finance. are exempt from import tax and VAT Tax for goods imported to be fixed assets. a. Road: Nhon Trach 1 Industrial zone is located in the Southern key economic region among Ho Chi Minh city- Bien Hoa city- Vung Tau city with many advantages on road and water transportation. It is 60 kilometres from Ho Chi Minh city, 40 kilometres from Bien Hoa city and 60 kilometres from Vung Tau city. In the future, when the project “Ho Chi Minh- Long Thanh- Dau Day Expressway” comes into operation, the distance from Nhon Trach 1 industrial zone to Ho Chi Minh city is only 24 kilometres..
- 48 kilometres far from Sai Gon port. - 60 kilometres far from Vung Tau port. - 20 kilometres far from Phu My port (available for 72 000 ton-ships landing and unloading container and oversized machines). - 15 kilometres far from Go Dau port (available for 15.000 ton- ships landing and unloading container and oversized machines). Power supply and industrial infrastructure services. * Power supply: Nhon Trach 1 Industrial zone is available with the 110/22KV Power substation with the capacity of 103MVA, which is chiefly supplying power to production factories in the industrial zone. The power supply to this substation is connected from 3 sources of National power network: one source from 220/110KV substation in Long Binh, one from Phu My Thermal power plant and one from Ham Thuan- Da My Hydropower plant. Consquently, the power supply to the industrial zone is always stable. IDICO URBIZ assures to supply 22 KV power to the fence of factories continuously 24 hours/day. * Water supply: Water supply is from the underground water plant with the volume of 15.000 m3/day, which is chiefly supplying water for production and domestic usages of factories in Nhon Trach 1 industrial zone and surrounding industrial zones. IDICO URBIZ assures to supply water to the fence of factories continuously 24 hours/day. * Telecommunication system: The industrial zone is available with sufficient telecommunication network assuring domestic and international services. This network provides a wide range of telecommunciation applications such as telephone mobile, fax and internet for investors. The time to supply these services is within 7-10 days. * Water drainage system: There are 2 separate sewage pipeline systems: one for storm water and one for industrial waste water. * Waste water treatment: There’s one waste water treatment plant for the whole industrial zone as well as surrounding ones with the volume of 4.000 m3/ day and night. IDICO URBIZ assures to receive waste water from the fence of factories to discharge into waste water treatment plant of the industrial zone. Headoffice : Nhon Trach 1 Industrial Zone, Nhon Trach district, Dong Nai province. 2. Representative Office in Ha Noi: HH3 Building, My Dinh urban area, Me Tri district, Ha Noi. 3. Representative Office in Ho Chi Minh city. No 151-ter, District 3, Ho Chi Minh city.